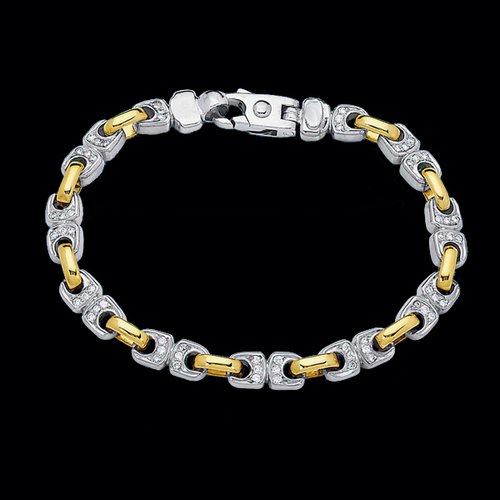 Vibrant Men's Diamond and gold bracelet. This captivating diamond bracelet is set with an incredible 6.10ct tw princess cut SI 1 clarity G-H color diamonds. Shown in 14k white gold, this custom made to order bracelet is also available in yellow, two tone, and rose gold selections. Also available in Platinum or Palladium. 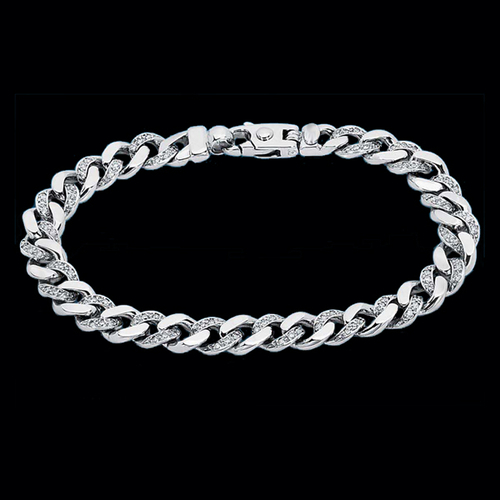 Men's diamond bracelet shown is an 8.5 inch length but available in any length. Use our special request link for additional pricing information. Gorgeous Men's Diamond and gold bracelet. This great diamond bracelet is set with 1.20ct tw SI 1 clarity G-H color diamonds and measures 7-7.5mm in width. Shown in 14k two tone gold, this custom made to order bracelet is available in yellow, white, and rose gold selections. Also available in Platinum or Palladium. 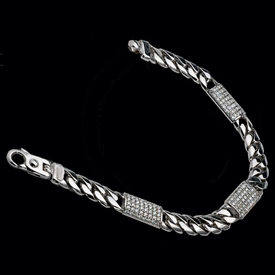 Men's diamond bracelet is shown in an 8.5 inch length but available in any length. Use our special request link for additional pricing information. The craftsmanship in this gorgeous diamond bracelet is guaranteed for life. Gorgeous Men's Diamond and gold bracelet. 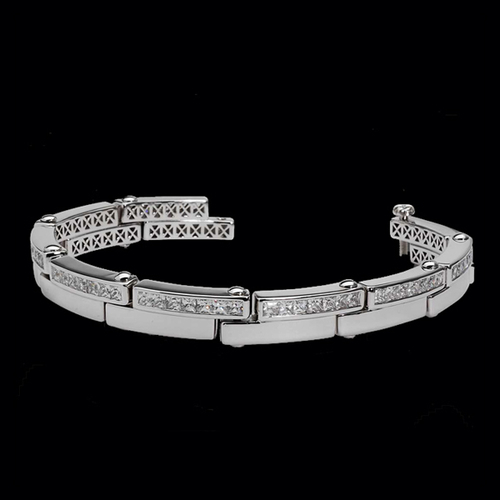 This incredible diamond bracelet is set with 3.60ct tw SI 1 clarity G-H color diamonds. Shown in 14k white gold, this custom made to order bracelet is available in yellow, two tone, and rose gold selections. Also available in Platinum or Palladium. Men's diamond bracelet is shown in an 8.5 inch length but available in any length. Use our special request link for additional pricing information. The craftsmanship in this gorgeous diamond bracelet is guaranteed for life. Handsome Men's Diamond and gold bracelet. This gorgeous diamond bracelet is set with 1.55ct tw SI 1 clarity G-H color diamonds. Shown in 14k white gold, this custom made to order bracelet is available in yellow, two tone, and rose gold selections. Also available in Platinum or Palladium. Men's diamond bracelet measures 9.5mm in width and weighs about 45.2grams for the 8.5 inch length. Any length available. Use our special request link for additional pricing information. 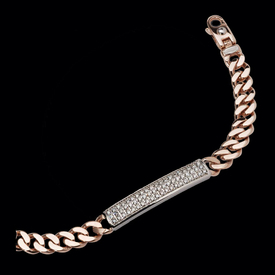 Stylish Men's Diamond and gold ID bracelet. This gorgeous diamond bracelet is shown in 14k Rose gold and set with 2.76 ct tw SI 1 clarity G-H color diamonds. Shown in 14k white gold, this custom made to order bracelet is available in yellow, two tone, and rose gold selections. Also available in Platinum or Palladium. Men's diamond bracelet measures 9mm in width and weighs about 48.3grams for the 8.5 inch length. Any length available. Use our special request link for additional pricing information. Handsome Men's Diamond and gold bracelet. This gorgeous diamond bracelet is set with 25 SI 1 clarity G-H color diamonds. Shown in 14k white gold, this custom made to order bracelet is available in yellow, two tone, and rose gold selections. Also available in Platinum or Palladium. 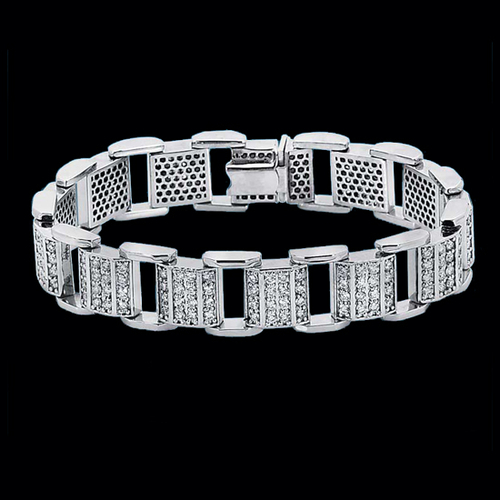 Men's diamond bracelet measures 9mm in width and weighs about 64.5grams for the 8.5 inch length. Any length available. Use our special request link for additional pricing information. Sophisticated Men's Diamond and gold bracelet. This gorgeous diamond bracelet is embeded with 6.72ct tw SI 1 clarity G-H color diamonds, this bracelet sizzles. Shown in 14k white gold, this custom made to order bracelet is available in yellow, two tone, and rose gold selections. Also available in Platinum or Palladium. 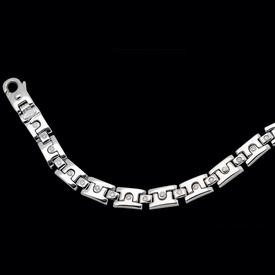 Men's diamond bracelet measures 14mm in width and weighs about 72grams for the 8 1/2 in length. Any length available. Use our special request link for additional pricing information.